It’s rare to come across a piece of technology that literally feels like magic, but here we are. Insta360 have done the impossible: they’ve found an actual compelling use case for 360-degree video. No, really. Join me as I wonder in child-like awe at the magical unicorn dust that seemingly powers the Insta360 One X. And at the end of this review, we’re giving one away to a lucky reader! The bundle above includes the magic selfie stick and bullet-time tripod handle, though you can buy everything separately too. There’s also a handy carry case in the box, and a handful of cables for connecting to an iOS or Android device. I say this even as a huge VR fan: the 360-degree video format has failed to impress. It’s just not compelling to stand in a low-resolution monoscopic bubble. It feels… wrong. There are some niche use cases where a 360-degree static image makes a lot of sense: no one would deny the value of Google Streetview, for instance. But not video. For VR at least, the 180-degree stereoscopic format has become the preferred format, even when riddled with scaling issues. It’s higher resolution and in 3D, so it’s more immersive and life-like. That’s an odd thing to say, but Insta360 have genuinely managed to come up with a compelling use case. Instead of outputting a 360-degree video, the Insta360 One X’s primary feature is Free Capture. Shoot now, point later. See something interesting while walking around? Don’t worry, you captured it. Want to slowly pan the camera up to see that stained glass window? Don’t think about it now: do it in post. That’s the benefit of capturing everything at once. The other upside to capturing such a massive amount of visual information at once is that you can output in whatever your preferred format is. No more blurry background filler, no more lost information. 16:9 widescreen, 1:1 “Instagram”, or 9:16 vertical. All you need to do is get on with whatever action you were doing, then choose your format later. There are three ways on the mobile app to point the camera. Viewfinder. In this mode, the video plays while you move your phone around as if you were using it as a regular camera phone. This is the hardest mode to grasp initially, but leads to more natural shots since it’s more like someone was using their phone. Smart Track. Position your tracking object in the center of the view, then choose Smart Track. The app will attempt to keep it centered until it can no longer discern the object. At that point, you can recenter and try again, or use the other modes. Pivot point. This is more like a traditional keyframe. Point the video where you want at a particular time, and add a pivot point. Do this multiple times, or combine with other modes, and the Insta360 will smoothly merge between the points. In addition to pointing the camera, you have a familiar set of filters, adjustments, and even re-timing features. Re-timing can speed the video up to 16x, and can be layered onto the camera angle changes (such as speeding up for a forward facing hyperlapse, slowing down as the camera pans upward to see a bridge, then sped up again). The app smoothes out the transitions between everything. Edits are non-destructive, so you can always remove them all and start again. Video stabilization is not new, but it’s notoriously difficult. For most video editing, stabilization means cropping a portion of your video to use as a buffer. The more you crop, the more stable you can get it. Insta360 One X offers the highest degree of stabilization I’ve ever seen. It manages this in two ways. First, rather than cropping a bit at the edge of the video to act as a buffer, it has the entire field of view to use. It’s got all of that extra video to work with. On top of that, it has a 6-axis gyroscope. It knows precisely how the camera was moving, in which direction, and where it was angled. If you haven’t already watched the review video, you should. The first half was edited using the Mac software, and features motion smoothing exclusively used with Free Capture. That means that while the video itself is smooth, I’m not always centred in the frame. The latter half was edited on mobile, using Smart Track to keep myself centred, while the background moves. It’s quite a different effect, but you needn’t choose a favorite: both can be used within the same sequence if you want, just not at the same time. Videos shot on the One X have an ethereal floating quality about them that seems… impossible. It almost looks like it’s been shot on a perfectly stable drone floating out in front of you. In fact, it’s a really long extendable selfie stick, which the Insta360 software then “Photoshops” out. Magic. The only telltale sign of trickery is that you can sometimes see a shadow. How does it work? The bullet time bundle includes a convertible tripod mount that has two mounting screws on it. One sits on the top, for use as a regular old tripod. The other connects to the long Insta360 selfie stick. Once unlocked, you can hold the handle, and spin the camera around, filming in bullet time mode. The tripod doubles as a spinning handle for easy “bullet time” shots. That’s it. The software understands you’re at the center of the action, so all you need to do is trim the video, and you’re done. The same effect can be achieved with a piece of string, but the rotating bullet time handle is a more elegant and safe solution. If you are one of the handful of people who enjoy 360-degree video for what it is, you’ll be pleased to know that the Insta360 One X is the best consumer level camera for that too. At a native 5.7K resolution, you can record locally, or stream easily to Facebook and YouTube when connected to your phone. You can also use the video upload feature of Google StreetView, though this strictly requires your phone to be connected in order to add GPS data, and the export process is quite long and tedious. The 360 features are all present and accounted for. I’m not going to dwell much on these though, as that’s really not where the magic lies. Just know that it’s a great quality 360 camera if that’s what you’re looking for. The one and only downside to the One X is that battery life is so short. I managed a continuous 20 minutes of video recording for the review before it died. A continuous recording like that is quite an uncommon case, but it’s clear this device is more suited to small clips. An hour of on-time is possible, just not continuously recording. Get used to this, you’ll be swapping batteries often. Luckily, you can buy extra batteries, an external charger, and swapping them is simple. But the cost adds up. 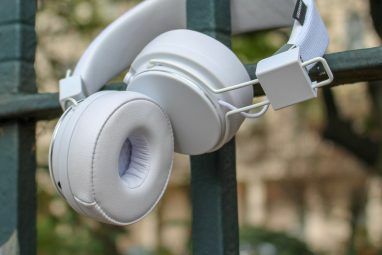 You can also ensure you carry around the charging cable along with a portable USB battery bank The 6 Best Backup Battery Packs for Extending Your Phone's Uptime The 6 Best Backup Battery Packs for Extending Your Phone's Uptime A battery pack is one of the best ways to charge your phone in an emergency. Here are a few portable power banks that might be just what you need. Read More . Insta360 provide comprehensive mobile and desktop apps for all major platforms, and it’s here where the real magic happens. The mobile app is the easiest to use, and most feature packed. There are tutorials, a community showcase, live streaming tools, and a remarkably simple editor that makes editor a breeze. The desktop provides less functionality, and you’ll need to copy files to your drive first as it doesn’t include import features. I also found it a little less intuitive than the mobile app; but on the upside, you get fast, hardware accelerated video rendering. Simply drag and drop mp4, insp or insv files into the software. The only magical features that makes it over from the mobile app is FreeCapture. Point the camera where you want and assign a keyframe to lock it in. Other aspects of the video such a field of view can alse be tweaked on each keyframe. There’s also the option to adjust tweening properties on transitions between keyframes, but there’s no smart tracking or speed ramping found on mobile. It’s nice that a basic desktop app is offered, but I’d recommend using the mobile app until feature parity is achieved. 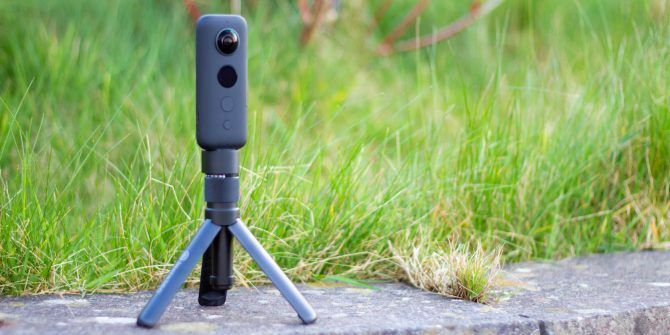 There is one reason you may not want to buy the One X: Insta360 has just launched a new model, called the Evo Insta360 EVO Is a Tiny, Foldable 3D and VR Camera Insta360 EVO Is a Tiny, Foldable 3D and VR Camera For anyone looking to create content for virtual reality, the Insta360 EVO is here to make the process far easier. Read More . It’s a hybrid design that allows the lenses to fold out, suitable to recording 180? stereoscopic video, as well as 360? monoscopic. If you’re looking for a cheap way of outputting for the VR market, that’s a great option. You still have the same feature set as the One X, however, the added bulk of the foldable lenses mean the stitching between hemispheres isn’t quite as clean. If you’re not interested in VR at all and just want beautiful Free Capture and action cam shots, the One X is your best choice. I’m ashamed to say I completely discounted this camera when it first came onto our radar last year. Eugh, yet another 360 camera? But how wrong I was. The Insta360 One X has singlehandedly destroyed the action cam market for good. It’s an amazing camera with so many uses that writing a conclusion in the typical format of “this device is great for…” just doesn’t apply. Whether you’re a vlogger, travel blogger, extreme sports enthusiast, or just an everyday Joe, you’ll get interesting video from the One X. From action-packed holidays to slow family events. Yes, the quality isn’t as good as a 4K DSLR, but the creative freedom and ease of use it offers is well worth the trade-off. It’s rare that I’m this impressed by a piece of technology, and I’ll be taking the Insta360 One X everywhere from now on. Explore more about: MakeUseOf Giveaway, Smartphone Camera, Virtual Reality.